Central Bank of Nigeria (CBN) Governor and Managing Director of the Nigeria Insurance Deposit Corporation (NDIC), Godwin Emefiele, disclosed on Friday at a media briefing in Lagos change in the name of Skye Bank to Polaris Bank, which has taken over Skye Bank. He said N786 billion has been injected into the bank, with Asset Management Corporation of Nigeria (AMCON) directed to commence the sale process of the bank beginning this Monday. Mr Emefiele added that the strategy is for AMCON to capitalise the bridge bank and begin the process of sourcing investors to buy out AMCON. The CBN governor explained, however, that given the good performance of the board and management of the bank, the CBN shall retain them. In addition, he said, all employees of Skye Bank shall be absorbed by Polaris Bank under a new contract, except any employee decides to opt out. Mr. Emefiele added that the strategy is for AMCON to capitalise the bridge bank and begin the process of sourcing investors to buy out AMCON. 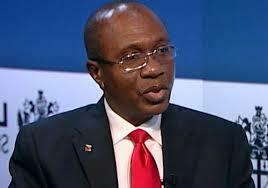 He added that although the bank’s performance improved afterwards, the bank needs urgent recapitalisation. The revocation of Skye Bank’s operating licence follows the Central Bank’s decision to pause its injection of funds processes in the lender. The regulators maintain that customers’ deposits are safe as management and members of staff will be retained under the new ownership structure. Meanwhile, the share price of Skye Bank on Friday gained 4.05 percent at 77 kobo. The stock is expected to be placed on suspension from Monday in accordance with bridge bank procedures.